This weekend I had Cycle Karting on the brain so I decided I would also tackle the frame and an idea I had for materials. We bought our home about a year ago and I have been busy renovating and eliminating projects from the to do list since. One such project has been to remove some junk the previous owner graciously left under the back deck. One item of junk, pertaining to this Cycle Kart project, is a steel queen sized bed frame. I squeezed into the 2 ft crawl space under the deck and unearthed bed from beneath a heap of leaves. Judging from the condition of the metal the previous owner must have tossed it there as she moved out, unknowingly providing me with what I hope will be the perfect Cycle Kart frame. Typically 1×3″ rectangular steel tube is used, but with adequate reinfocement I think the bed frame will suffice. I also hope it will cut the weight down since the bed is a light gauge angle iron. The bed is also too short, so I wil splice in an extra section that will become the motor mount. There is also some light surface rust I’ll deal with before painting, but otherwise it seems to be in good condition to start fabricating. This weekend I tackled a quick cycle kart project with the help of my two year old son. 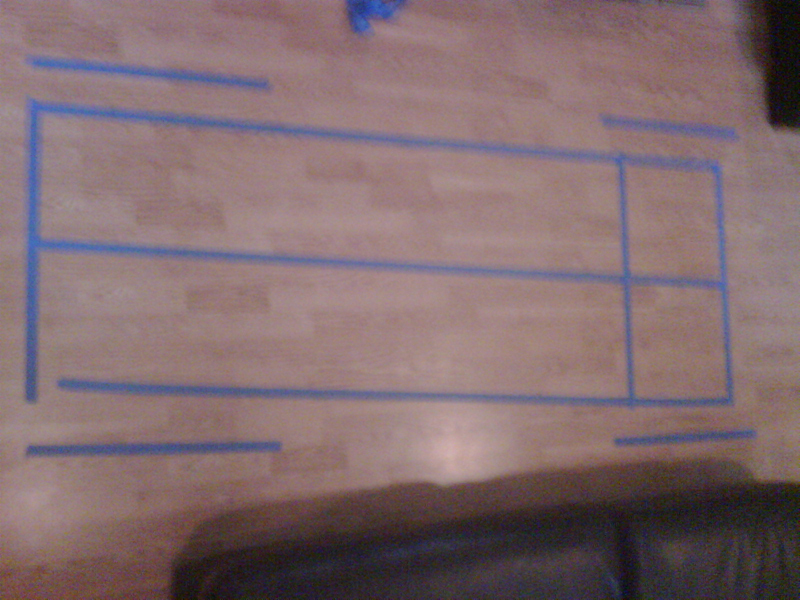 I grabbed a roll of blue painters tape and got to work scaling out some proportions on the living room floor. I thought painters tape would be great for “prototaping” my cycle kart dimension and, sure enough, it let me adjust and tweak elements with ease. If you try “prototaping”, be sure you jot down your specs as your wife may not love a scale cycle kart taped to the living room floor. Although my dimensions are slightly shorter than usual, I decided a shorter wheelbase would lend itself to a cuter look and would save on weight as well. My son and I were also able to sit in our cycle kart which in turn meant the living room was soon filled with cycle kart sounds and spiddle as we reved our imaginary cylinder. The width will be around 30″ which means a young enthusiastic passanger can sqeeze in beside me, which is important since I want this project to be something we enjoy as a family. BUILD : Create & build your own scaled down vintage looking Cycle Kart racer. No Plans. If you can’t wing it, stick to LEGO, Cycle Karting requires creativity and commitment. DRIVE : Drive competitively, but don’t mistake this for racing. No Ranks. You ride because you can, not for any league standing. ENJOY : If you build a Cycle Kart, you are going to have some fun. No doubt. You either get it or you don’t.